Baldor is a company that is recognized globally for superior electric motors. Baldor’s home office is located in Fort Smith, Arkansas. 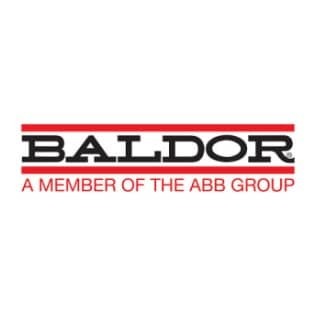 Baldor has 15 factories located throughout the United States and one located in the United Kingdom. Baldor has over 40 warehouses which allow them to ship stock rapidly providing outstanding customer service. Baldor has a strong misson to serve their customers. They strive to produce and design the best industrial electric motors, drives and mechanical power transmission products. Baldor offers both AC and DC electric motors in a wide range of horsepowers, frame sizes and voltages. Baldor also manufactures a line of generators that is top notch craftsmanship. Baldor has a wide variety of AC Control units including micro invertors, servo drives and vector drives plus much more. Baldor has the right AC Control unit to fit your application needs. In addition, Baldor has a full line of quality AC Electric Motors which come in a wide range of horsepowers. Baldor also offers a full line of DC Motors that are used in industries worldwide. Baldor offers many other products including DC Controls, DC Servo Drives, Generators, Grinders and Buffers, Linear Motors, Linear Stages, and Motion Control products. Dalton Bearing Service, Inc. has a number of Baldor motors, grinders and controls in store that are available for direct shipment. Because of Baldor’s many warehouses covering the United States, many products are available for same day shipping.